Small-sized bathrooms can pose a big problem when it comes to decor and design. Considering how much time we spend in these rooms, we want it to be a space that is comfortable and private. It should also be modern, serene and aesthetically-appealing. 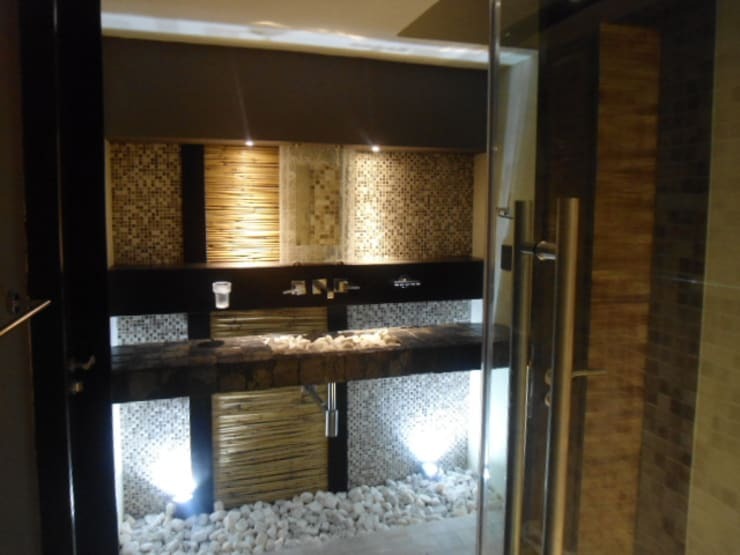 What's more is that our bathroom designs should work in harmony with the rest of the interior design of the house. Often people choose a style that reflects their tastes, which creates a wonderful opportunity for self-expression. 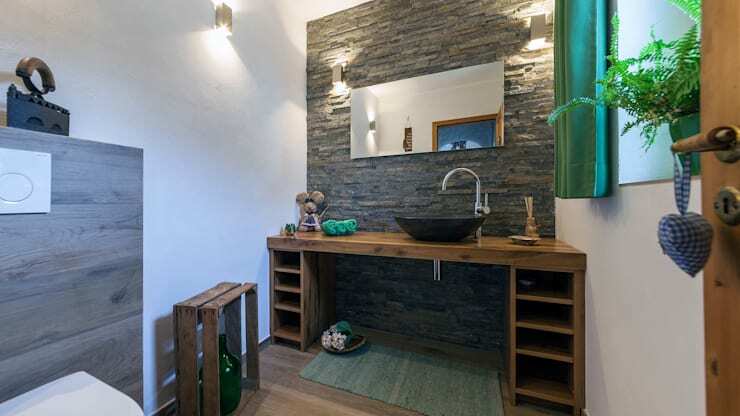 For those who like a rustic touch, earthy tones or natural materials, wood and stone can be wonderful elements to include in your bathroom. 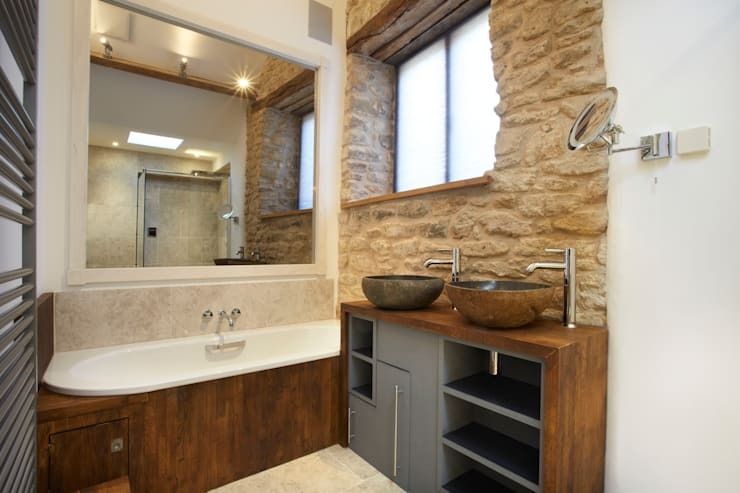 This is why today at homify, we have put together a range of different bathrooms made of wood and stone, showing you how you can add a special touch to your home aesthetically. 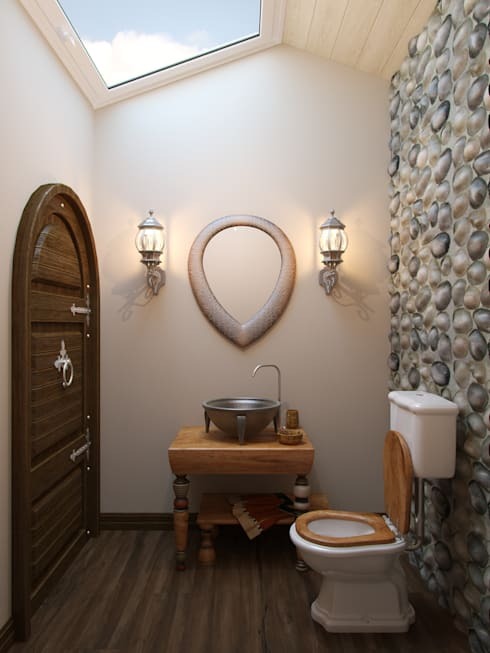 Stone can be a very important feature in a bathroom, giving it a very charming touch. It can also breathe new life into the space. It also creates a feeling of comfort and relaxation while creating a beautiful look and feel. 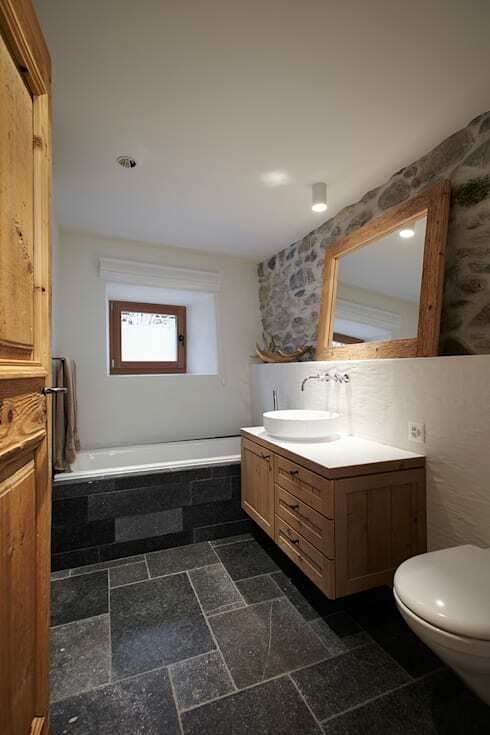 Wood can give a distinctive touch to the bathroom and as we can see in this image, it works in harmony with stone. 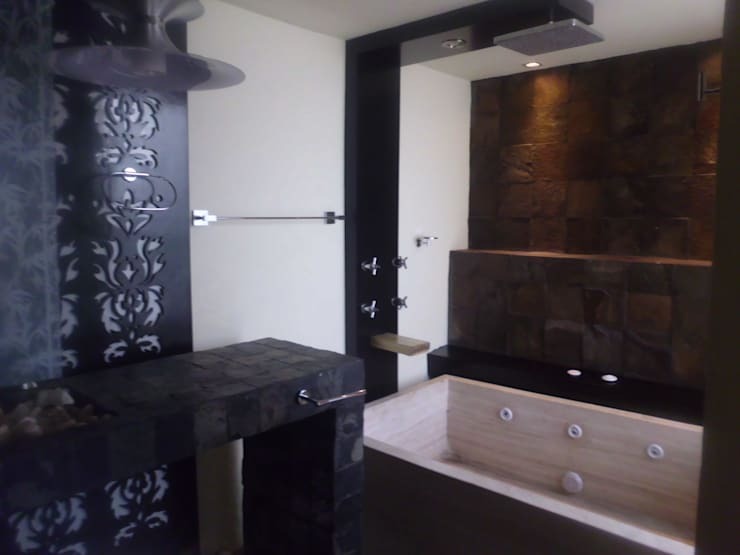 This design combines stone and wood, introducing different shades of light and dark. This creates a very simple and elegant environment. The neutral tones work in harmony with the distinctive details and harmonious colours. Even though this room is small, it is simply gorgeous. While dark colours are not often used in a small room, we can see here how effective they can be. The use of wood and stone can be enhanced with distinctive lighting, creating a wonderfully relaxed ambiance. 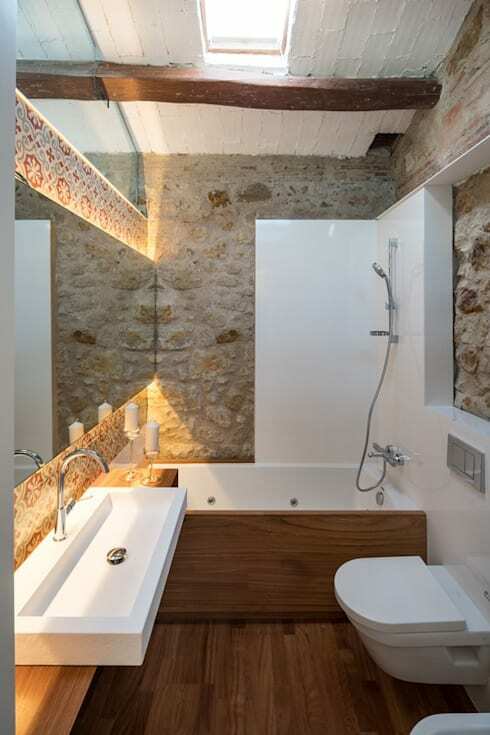 As we can see in this design by professionals Bello Diseno Interiors, lighting can be very powerful, illuminating different elements in the bathroom. This creates a very unique atmosphere. In this bathroom, we can see how a combination of different materials creates a gorgeous aesthetic appeal. The stone wall works in harmony with the wooden and metal shelves, while introducing elegance and sophistication to this space. This design is characterised by elegance and simplicity. The smooth surfaces work in harmony with wood and light-coloured stones. The distinctive colours and beautiful lights create a sense of comfort and makes the bathroom seem that much bigger and more expansive. Again we can see what a distinctive impression the lighting makes. 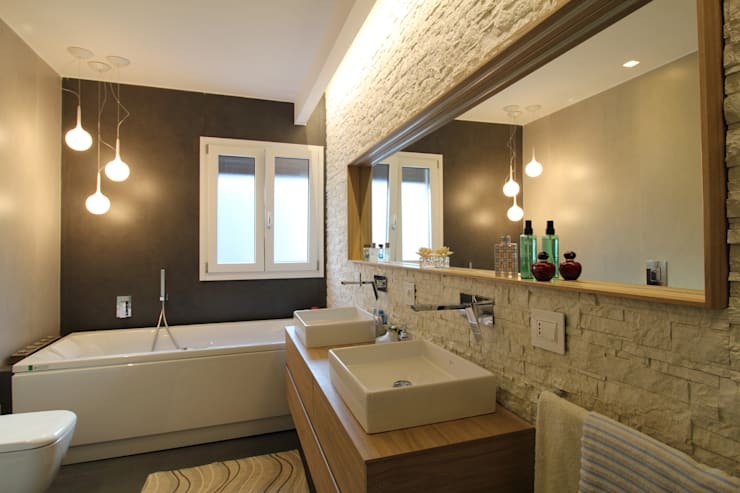 The use of lighting inside the narrow spaces of a bathroom can make a space seem that much bigger and more expansive. This is both artificial light and natural light. This gives the space a sense of comfort and relaxation. It also enhances the unique design of the bathroom. Don't you love the funky mirror that hangs on the wall? The wooden finishes add that extra special touch. 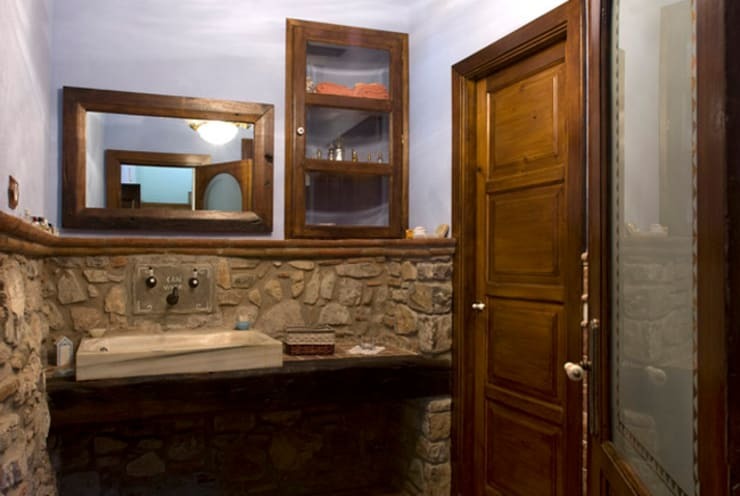 In this image, we come across a wooden door, which is a very distinctive element in this bathroom space. It matches the wooden cabinets and window frames and contrasts beautifully with the glass and stone. This brings a very distinctive rustic touch to the bathroom. This design features a unique ceramic design, which gives the bathroom a very elegant look and feel. The lines and colours are vibrant and economically-friendly. This style is commonly and widely used and we can see why. It creates a very special type of beauty that is simple yet effective! The use of smooth surfaces and light colours makes for a very appealing bathroom that is as stylish as it is distinctive. It also creates a very comfortable bathroom space! If you've enjoyed this article, you'll love this one too: Brilliant, beautiful bathroom trends. Also have a look at this one too: Wrong decisions in small bathrooms.